The people who make things happen behind the curtain. 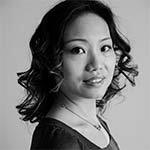 Emily Cheung is an educator, performer and choreographer. She is a professional Chinese dance artist specialized in both the Chinese classical and contemporary styles. She received her dance training in China, the United States and Canada. With an active performing schedule, Emily has won many prestigious dance awards including three grand prizes from the North American Chinese Dance Competition for her excellent dance technique and interpretation. She is an educator, performer, and choreographer with a B.F.A. and B. Ed. and Master of Fine Arts (M.A.) in Dance from York University. 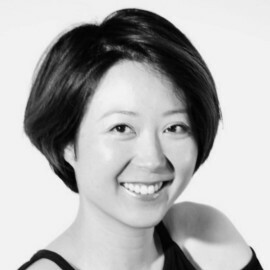 Cheung is involved in preserving traditional Chinese dance, creating contemporary dance that honours the Chinese traditions, and collaborating with artists from other disciplines and ethnic backgrounds to create works with unique aesthetic sensibilities. Her latest performance‘Bitter Tea’ in company’s annual show was critiqued by Paula Critron as ‘Radiant’ dancer. 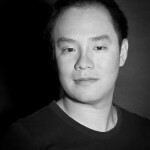 Victor Tan is an avid art supporter, participant and promoter. He is also a seasoned corporate management professional and an entrepreneur, well versed in company governance and operational excellence. Victor brings to the company his experience in technology, marketing, human resource and project management, supporting the company’s artistic development with the business dimension and discipline. In his other pursuits, Victor is a photographer, graphic designer, violinist, pianist, percussionist and a painter. He has been a choir conductor for many years. 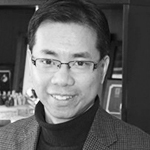 Dr. Kenneth Fung is a Staff Psychiatrist and Clinical Director of the Asian Initiative in Mental Health Program at the Toronto Western Hospital, University Health Network. He is also Associate Professor with Equity, Gender, and Populations Division at the Department of Psychiatry, University of Toronto. He completed a two-year fellowship in Cultural Psychiatry at the University of Toronto, and his Master thesis was on alexithymia among Chinese Canadians. His primary research, teaching, and clinical interests include both cultural psychiatry and psychotherapy. He co-leads the Pillar 4 Dialogue of the Department of Psychiatry Strategic Plan, University of Toronto, which focuses on issues regarding equity, social justice, and social responsibility, and is the Block Co-coordinator of the Cultural Psychiatry Core Seminars for psychiatry residents. He is the seminar co-lead and psychotherapy supervisor in Cognitive Behavioral Therapy (CBT) at the University Health Network, and teaches and conducts research in Acceptance and Commitment Therapy (ACT). He has been involved in community-based research projects related to HIV, mental health stigma, and immigrant and refugee mental health. 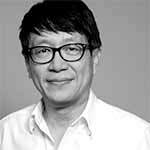 He is psychiatric consultant to the Hong Fook Mental Health Association and is involved in various mental health promotion and education projects in the community. He offers consultations at Mon Sheong Scarborough Long-Term Care Centre. He is the Vice-President (President-Elect) of the Society of the Study of Psychiatry and Culture. 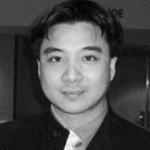 He is the past Chair and current Historian of the Federation of Chinese American and Chinese Canadian Medical Societies, and past Chair of the Ontario Chapter of the Association of Contextual Behavioral Science. He has been awarded Social Responsibility Award by the Faculty of Medicine, University of Toronto in 2015 and Award for Advancing Minority Mental Health by the American Psychiatric Association Foundation in 2016. He is enthusiastic about the arts, and dabbles in various expressions of art including sketching, painting, and piano playing. He is an enthusiastic supporter of the arts; he is on the planning committee of Performing Psychiatry and the Board Chair of the Little Pear Garden Dance Company. Megan Schroeder is a Dance Educator with the Toronto District School Board. For the last 7 years, she has been employed by Claude Watson School for the Arts where she teaches Dance to grade 4 – 8 students. In addition to receiving her undergraduate degree in Dance from York, she also received her Junior/Intermediate teaching qualifications from YU’s Faculty of Ed. in the specialized Fine Arts division. After completing her Honors Specialist in Dance at York University in 2007, Megan has gone on to take an active role in Professional Dance, and Dance Education initiatives across the province. In addition to her work as President of Little Pear Garden Collective, Megan is also on the Executive committee for the Pulse Ontario Youth Dance Conference. Dickson is an art lover and enthusiast. He has been a strong supporter of LPGC for the last 5 years and has a vested interest in the company’s success. His financial contributions, and his work behind the scenes are strong testaments to his commitment to Little Pear, and its core values and mission. He has been instrumental in introducing the company to the Chinese community and bringing in new audiences. Kenneth starts his dance training in Hong Kong since his childhood and obtained certifications via examinations of Royal Academy of Dance from United Kingdom. Later on he received the Registered Dance Teacher Certificate with Chinese Dancers Association from the People’s Republic of China and acquired Teacher Qualification Certificate for Chinese Dance. He is an experienced performer and has performed in ballet, modern, contemporary, jazz and Chinese dance. Ken has participated in many productions of Little Pear Garden Collective such as Bitter Tea and the Four Beauties of China, and assisted as Rehearsal Director for Feng (Wind/Breeze). He has also performed for Chapio Youth and Children Ballet Company, Hong Kong Ballet Group, and Inspired Dance Company in Hong Kong, and The Orient Dance Company, Chi-Ping Dance Group, Allego Dance Company, and Toronto Chinese Dance Company in Toronto. Mr. Stephen Siu started his journalistic career with the United Press International and Reader’s Digest. Before he settled down in Toronto in 1988, he was the publicity head of Hong Kong’s Cultural Services Department. He became the Executive Director of the Chinese Cultural Centre of Greater Toronto by the turn of the millennium. He also served as head of public relations of the Hong Kong Economic & Trade Office in Canada. He is now President of Yee Hong Community Wellness Foundation. Mr. Siu played an instrumental role in the success of some of the well-known cultural events, including China Central Television’s “Same Song” concert at Rogers Centre, which attracted an audience of 21,000, and the Canadian tours of the Hong Kong Ballet, Hong Kong Dance Company, Hong Kong Chinese Orchestra and Hong Kong Repertory Theatre. He was given the Rotary Club 4-Way Test Award in 2008 for contributing his experience and knowledge benefiting the community. In 2009, Mr. Siu was given the “Chinese Canadian Legend” Award. In 2010, he got the University of Toronto’s Arbor Award for his voluntary service. 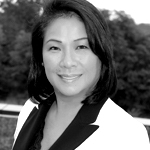 Councillor Sandra Yeung Racco has worked tirelessly on behalf of her constituents for more than 13 years. During her three terms on Vaughan Council, she has been a driving force in bringing new parks, community centres and other vital services to her constituents. Additionally, she has played an integral role in arts and cultural initiatives, addressing the needs of youth and seniors, and collaborating with other levels of government to extend the subway into Vaughan, along with other much needed infrastructures. 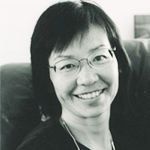 Sandra was born in Hong Kong, raised in Ontario, studied music and obtained her A.R.C.T. at the Royal Conservatory of Music and graduated from the University of Toronto with a Bachelor of Music Education degree. After graduation, the Councillor ventured into the world of international business relations, developing an understanding of the needs of global business communities. However, it was her volunteer work in the not-for-profit sector where she developed her drive to help in her local community. Sandra’s background and experience blend business relations, the arts, family and a complex understanding of the needs and priorities of her constituents. She is committed to delivering results beyond the level of expectation and to building a vibrant community in Ward 4. 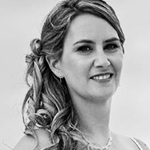 Sandra currently lives in Thornhill with her husband and four children. Anh Truong is a proud supporter and admirer of the performing arts. She is a mother of two teenage daughters, one in competitive synchronized swimming and the other in music theatre. Anh and her husband also competed in international ballroom dancing for 10 years.